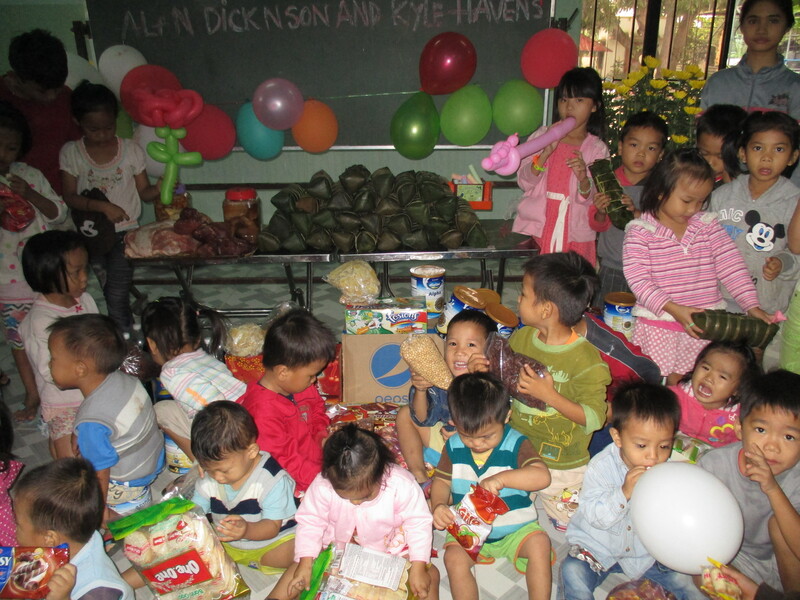 On February 5, 2016 we brought a Tet party to the Nhan Ai Orphanage. 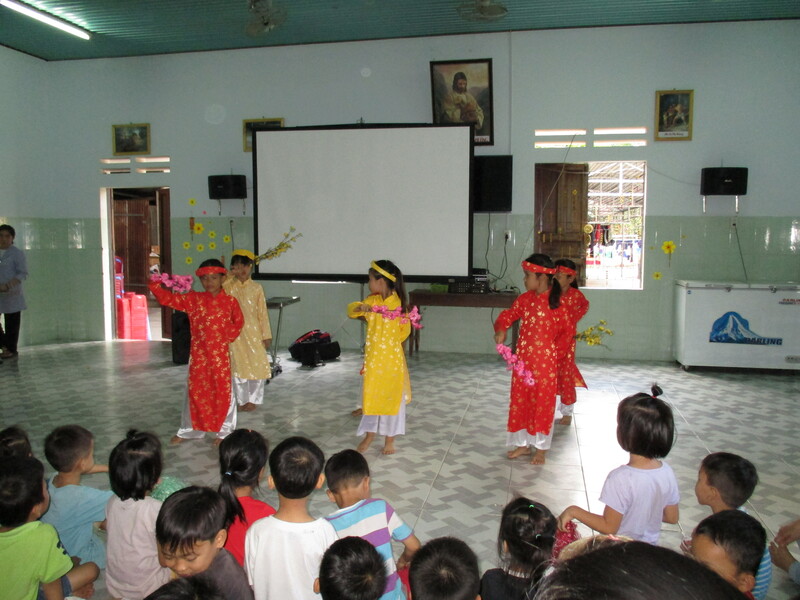 This was the first of 2 parties that came to the orphans this lunar new year. Tet is the biggest holiday of the year, and the orphans rarely get to celebrate along with the rest of the country. 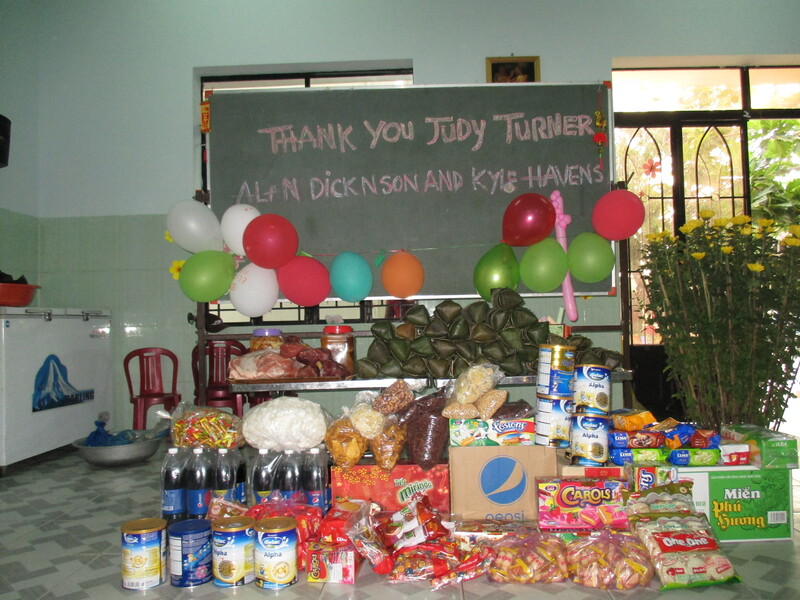 Thanks to a group of amazing donors, we brought lots of traditional Tet food, plus some basic necessities for the orphanage. 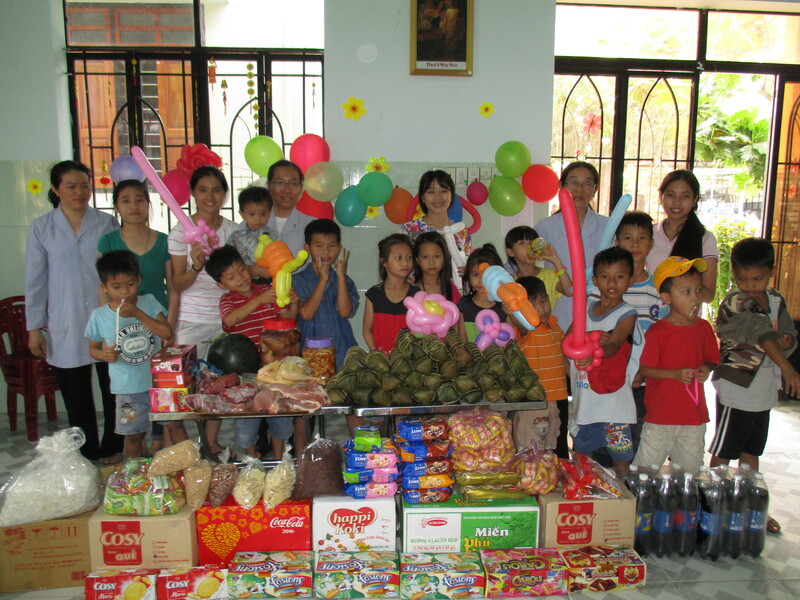 In all, we brought traditional ‘Banh Tet’ cake, meats, snacks, and sodas. General supplies included baby formula, rice, and noodles. This wonderful trip was made possible through the kindness of Judy Turner, Alan Dickenson, and Kyle Havens.